"In this fast-paced world my spectators need to be entertained and amazed in a nano second. This lecture brings ideas and concepts to your magic and puts a new twist on close-up classics including cards, coins and everyday objects that can bring impromptu magic to another level of entertainment for your spectator. No other lecture features so many sight gags and one liners audience tested in the real world of entertainment. In my book, it’s all about presentation…presentation…presentation!" 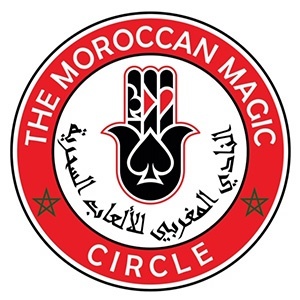 On behalf of The Magic Circle here in London, I would like to thank you for your lecture based on teaching fabulous ideas and not based on a dealer lecture just like we’ve seen so many times! Your audience came together as one and you taught and shared all your thoughts on making magic entertaining, which was incredibly well received. You proved that from one simple idea you can encourage us to create another new idea or sleight. That’s what you brought to the table and we really appreciate the time and effort you put into your lecture. I wouldn’t hesitate to recommend your lecture for any magic club from beginners to those that they claim to have seen it all...With you you never stop learning! Thanks again, and we look forward to you visiting our club soon. Jimmy Cieslinski is a master of his craft, his genuine desire to make everyone happy with his skills... even people do not speak English in Morocco. They really enjoyed his magic and he wowed everyone. I really appreciated his knowledge of his magical culture, his sense of humor and his great clear generosity. Looking forward to having you back to Morocco for a tour around the country! Ring 41 opened the fall schedule with a high energy and high volume lecture by Jimmy C. President Lynn Miner had opened the meeting with brief announcements and the raffle in order to allow maximum time for the lecture. President Minor and Monty Witt had attended Jimmy C’s lecture at the Ring 398 the previous evening in Appleton, WI. Jimmy C started the program with singing and presenting his opening to his cabaret show. What followed was a whirlwind of tricks, gags, ideas, and new and novel uses for the tricks and props that all of us have in a drawer(s) at home. The focus was the importance of “entertainment.” He stated that he could entertain crowds with simple props and tricks but to present them as entertaining and engaging. Jimmy also discussed the importance of music and dressing “for success.” During the lecture Jimmy C covered about fifty effects and variations. In addition, he passed out some printed instructions for a few tricks, printed templates for a few tricks, and a few actual props that he used in his lecture. He did have a few items for sale. I will never look at a box of Cracker Jacks and a dove pan the same way again! Jimmy calls himself the “sharing magician” and he lived up to his billing. The two hours flew by with plenty of new ideas and laughs. The next meeting will be on October 24th and will feature Michael Finney, the current I.B.M International President, giving a lecture. This meeting will be one week early because the fifth and last Wednesday of October falls on Halloween. 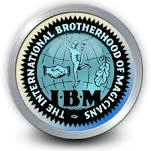 Do come and visit us and see for yourself why we are the only I.B.M Honor Ring in the Midwest. We held our September meeting at the DoubleTree by Hilton hotel in downtown Neenah, Wisconsin, in order to accommodate the evening’s lecture. Ten members and one guest were present as President Monty Witt called the meeting to order. He said since we were having a lecture we would keep the business portion of the meeting as brief as possible and dispense with officer’s reports. Secretary Daryl Rogers discussed a proposed revision to the Ring’s by-laws to clarify the section on member and guest fees for lectures. The revision was voted on and passed. Treasurer Lou Lepore reported on upcoming scheduled lectures. Guest Josh Eilers completed his membership form and was welcomed as the newest member of I.B.M. Ring 398. Before concluding the business portion of the meeting, Monty took a moment to congratulate Daryl on taking both the First Place Award for Stage Magic and the People’s Choice Award for Stage Magic at the recent Houdini Club Annual Convention magic competition held in Appleton, Wisconsin. At this meeting Ring members were treated to a lecture by Jimmy C (James Cieslinski), a highly experienced magician. A member of the 4F, Jimmy has performed for many of the Forbes Top 100 corporations and has entertained clients all over the world. He came all the way from his hometown of Rochester, New York, to share his insights with us. Jimmy was set up for the lecture with a large backdrop, a sound system, and tables full of magic props. The lecture began with Jimmy singing a jazz song while producing boxes of flowers and large dice from a seemingly empty paper bag. This led into a discussion on how music can change the entire atmosphere of a platform show. He demonstrated this further by performing a rainbow streamer routine to the song Somewhere Over the Rainbow. Jimmy then launched into a non-stop, two hour lecture that included presentations of over sixty magic effects. He demonstrated many props that are simple to make, easy to use, and have high impact on spectators. He used sponge balls, cards, ribbons, rope, coins, a Chinese yoyo, an electric deck, a wallet, dollar bills, and more, while demonstrating effect after effect. At times it was difficult to keep up with him as the ideas flowed fast and furious. Throughout the lecture, Jimmy emphasized the importance of getting the audience to like you, and one of the surest ways to do that is through humor. He certainly got all of us to like him as he peppered his presentation with humor that ranged from raising a chuckle to sidesplitting laughter. Jimmy was also very generous with gifts as well as information. He gave everyone at the lecture two different card effects, a magic cube template, instructions for a “Dollar Bill through Card” illusion, a comedy prediction prop, and a tail (you have to see it to understand!). After the lecture ended Jimmy answered questions and shared even more magic with those who remained. When you book Jimmy C to give a lecture, you will get much more than your money’s worth in information, entertainment, and outright fun! Jimmy C is highly recommended and we will certainly have him back again in the future. Please let this letter serve as a superb recommendation for the irrepressible and incredibly entertaining Jimmy C.
We had the pleasure of hosting Jimmy C November 2018. First of all let me say that Jimmy is a true gentleman, a warm spirit, and a very wonderful guy. His humanity, character, and zest for people and life shines through in everything that he says and does. It is obvious that he loves people, he loves magic, and he loves showing and teaching people magic. He brought a super portable stage set up and sound system that outclassed and every lecturer we have ever had. He brought Vegas presentation to our club! Jimmy C is the consummate professional. He is a singer, a comedian, and a very clever and very practical magician. He has stuff for ALL members - not just the finger flickers. Jimmy C had tricks, gimmicks, and comedy lines that any working or amateur magician can instantly use. People who didn't know Jimmy were surprised about how entertaining he was, and were impressed with the plethora of useful and usable ideas he shared. On top of sharing his wonderful personality, Jimmy had numerous giveaways that attendees were provided with. He is not Jewish, (I don't think) but he is a true Mensch! If you love Magic, Music and Mirth, you must instantly book Jimmy C!!!! I told you last night that your props reminded me of the famous creative magician named Hen Fetsch from my hometown of Baltimore, Maryland. As a young boy, I had watched his shows many times and some lectures. I have his lecture note with many creative illustrations. Today I tried to find his booklet around my overcrowded magic stuff boxes and drawers but no avail. I will continue searching for it. When I find it, I will be glad to email a copy to you. I really need to find it as it is one of my great collections. I don't know if you are aware that I have been collecting hundreds of magic cartoons since 1950s and printed them in four volumes! Unfortunately, I couldn't sell them because of no legal permissions from cartoonists and publishers. Sigh. So, this is my private collection, anyway. I'd be happy to show them to you if you are interested in seeing 'em. Thank you very much for the copies of Joshua Jay's paper (very, very valuable for me to read) and the coin thru the tiny holed playing card, and the cute tail. Keep up with your talent! 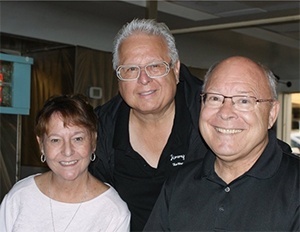 "Ring 398 in Appleton recently had the immense pleasure of hosting Jimmy C for a lecture. This was our first lecture in this newly formed ring and we couldn’t have picked a better performer to inaugurate Fox Valley Ring 398. Jimmy not only presented effects, but he imparted real world advice that only a working pro knows. We are already looking forward to booking him for his close up lecture series." This week we had Jimmy C in for a lecture, for our IBM Ring 398 this was fantastic! Jimmy has so much energy ,passion and desire for his craft.It just shines through him. your mission to teach and inspire magicians to be entertainers is loud and clear. thanks again for coming. we are talking about having you come back for your close up lecture. and maybe my birthday. LOL I highly recommend you for anybody looking for an A+ entertainer Thanks again my friend." VP IBM Ring 398 Appleton Wi. You did a great job for the Fox Valley IBM ring the other night. I loved the way you moved along. Some presenters drag along like their trying to fill the time. You just flew with endless ideas. I loved it. Magic tricks are magic tricks, but you came up with so many clever presentation ideas that most everything seemed new. My best to you. It's obvious you love your trade." "I thoroughly enjoyed your lecture at the Tripoli Shrine Center last Wednesday. I particularly liked your emphasis on entertainment. You presented some great ideas for unused props. This was truly an entertaining and thought provoking lecture. You were very generous with your time and merchandise. Thanks again,"
I was delighted to attend both of your Wisconsin lectures. My wife (Peggy) thought you were the best magical lecture she has seen in a long time. It was through HER urging that I bought both your talking President Washington dollar bill and the Magic Cube (where the shot glass of water doesn’t spill). We were both unable to suggest any improvements to your presentation. You are a great entertainer and have influenced me to look back at everything I do …. to ensure it entertains; rather than just shows a mystery." I want to thank you for the jam packed lecture you gave last Tuesday evening in Neenah, Wisconsin. I have found at lead 8 things I will use. But I am sure I will be using more. My favorites include cracker jacks torn and restored card. I'm looking forward to the odd of the prize artwork. I really liked the rope routine that the ends and middle kept growing more ends and middle. I've tried to build the rope on my own to see if I can work it. I also liked your tips on blocking loads but I missed the sponges because they had you start before the stated time of the lecture. I arrived at 7 and missed your opening. I would love to see more handling tips if you come to our club again." I’ve attended hundreds of magic lectures and booked dozens of them. Your lecture ranks in the top 3% of all I’ve attended. Here are a few of the many reasons why your lecture was absolutely outstanding. First, you bring an incredible passion for magic and that is highly contagious. Second, you present effects, gags, and principles that people can use now regardless of skill level. Third, you managed to present over 60 effects during the lecture and didn’t, thank goodness, spend 20 minutes teaching a double lift. Fourth, you were incredibly generous and you actually gave away free a half-dozen effects to each person who attended. Fifth, you have such a wonderful likeability quotient that all attendees enjoyed your presentation, even the curmudgeons. Sixth, you recognize that telling is not the same as teaching. You not only told us about great magic ideas, you actually taught them to us. Seventh, some people say they are going to present a lecture when, in reality, it turns out to be a dealer show. While you had a couple of things to sell, you did not “hawk” them and this was clearly not a dealer show; rather it was a wonderful professional development experience for all. I’m sure we will be seeing you again." "Hi Jimmy C. Thank you for your entertaining and fun lecture the other night. It was a lot of fun for me and some of the simple concepts that you turned into major routines were great. I do a lot of walk around magic and your stuff was just the kind of material I can use. The straw through the bottle cap I have already modified. I put the straw with the glued cap in a opaque drink that covers the cap and walk around. I put the wet straw from the drink blocking the cap and then I do your routine. Gives me a reason to walk up to someone at the party drinking a drink. I also loved the cocktail napkin with the flags. Super use of a thumb tip. Hope to see you in the future." "Jimmy, Hats off to you for your outstanding performance/lecture this past Thursday in Fort Myers. I thoroughly enjoyed your variety show and would hope I see your act again very soon." Best Regards, Eddie G.
"Just spoke to Tony Dunn and we both agree that the lecture was GREAT. I believe everyone was very happy with the lecture and the fact you weren't trying to sell them a bunch of STUFF." Tom Gentile, New England Vice President S.A.M "Practical, Recognizable, Easy, Thoughtful, Entertaining, Quick, Attention Getting, Packs easily, Affordable, Doable"
Daniel Sclare, President Central Connecticut Magicians Association "We had a fun time at your lecture last night! We were amazed at all the stuff you brought to entertain us. Your singing voice, your jokes and most of all entertaining magic were great. I would highly recommend your lecture to other clubs."